A couple of week-ends ago, I popped over the border into Italy specifically to buy fruit and vegetables to turn into jams, chutneys and sauces. There’s something very therapeutic about the end tesult, lots of bottles full of delicious condiments neatly stacked in the small fridge which I have for this very purpose. 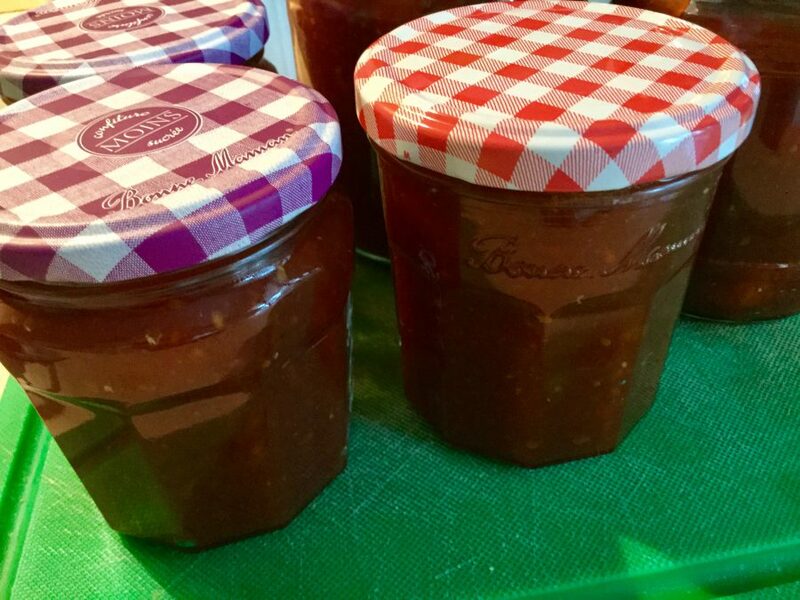 I use this tomato and chilli jam in so many ways I have lost count. It’s fantastically versatile: spread it on corn cobs (instead of butter), put a dollop on top of goat’s cheese on a crostini, use it instead of mint jelly with lamb, stir into mayonnaise for a spicy dip and it’s wonderful with fish, especially squid. I even put it on top of my avo toast and it’s great on a cheese platter. I rarely part with any of it as it’s really all for personal consumption. Only my very closest and very dearest friends can look forward to the odd small jar as a rather begrudging gift. 1. Blitz about 3/4s of the tomatoes with all the garlic, chillies and ginger in a food processor. Pour into a heavy-based saucepan. Add the fish sauce and vinegar, and bring to the boil, stirring slowly. 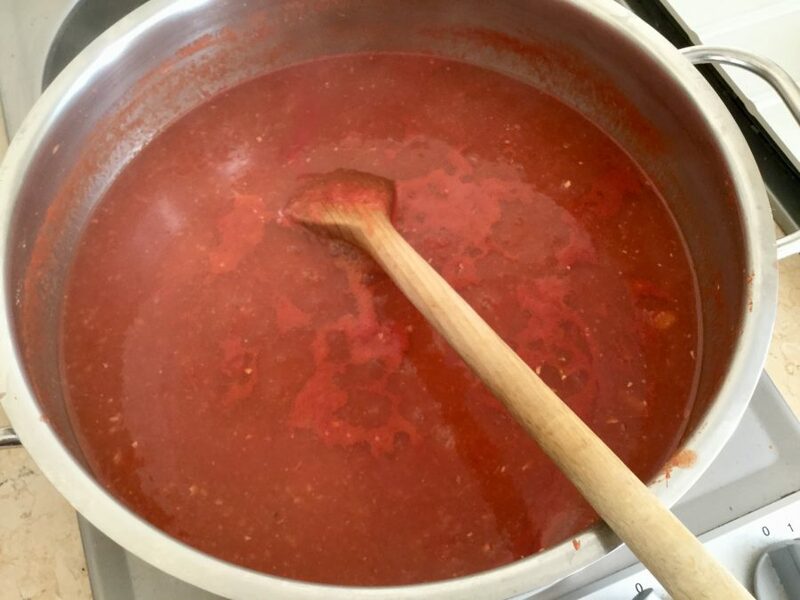 Reduce to a simmer and reduce the liquid by around one-third. I find this generally takes around an hour. 2. 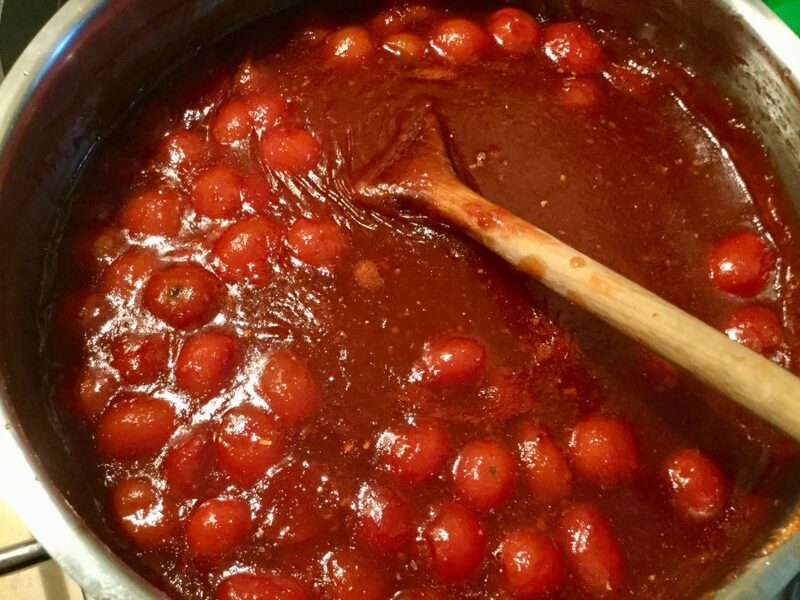 Depending on the size of the tomatoes, dice the remaining ones and add them to the pan. Simmer for 30-40 minutes, stirring from time to time. 3. Now add the jam sugar and boil for about 5 minutes, until setting point is reached. The mixture will turn slightly darker and sticky. 4. Store in warm dry sterilised jars and seal while the mixture is still warm. The longer you keep this jam the hotter it gets. It keeps for about 3 months in the fridge, though it rarely lasts that long! 1. If you can’t find fresh chillies, and I often can’t, replace each chilli with 1 tsp of chilli paste. 2. The original recipe, which I believe came from Peter Gordon, advised adding the sugar from the start and using golden caster sugar. 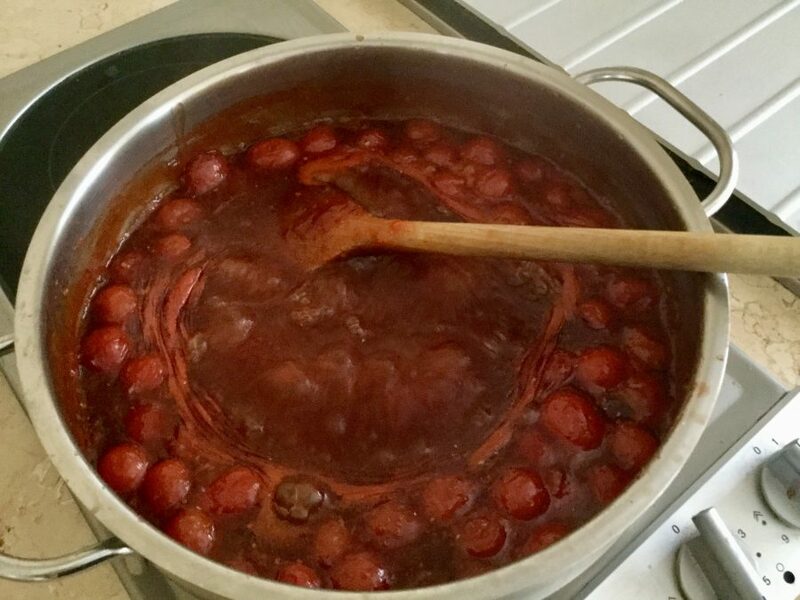 I’ve found that my method ensures the jam doesn’t burn and stick to the pan – it’s a nightmare to clean – and it sets more easily, though total cooking time is about the same. 3. Make a small quantity to start off with and test for taste. You can always add more, or less, aromatics next time around. 4. I’m conscious that the inclusion of fish sauce renders it non-vegan. 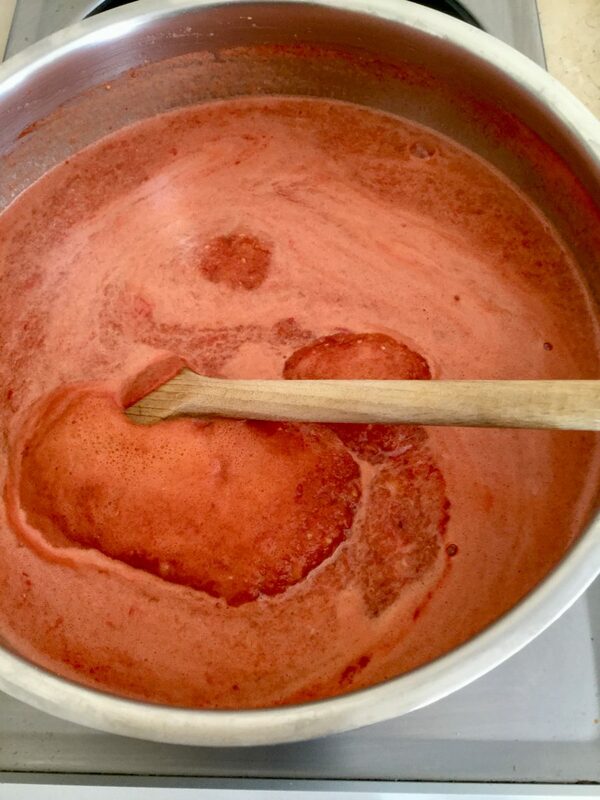 Instead use 1 tsp of salt per 500g of tomatoes. 5. The original recipe used red wine vinegar but one day when I decided to make some, I only had cider vinegar and it made no difference. So that’s what I always use now. But don’t use malt vinegar, sherry or balsamic, stick to red wine, white wine or cider. you have a very niiice blog! Keep on going mate!